Hurry up! 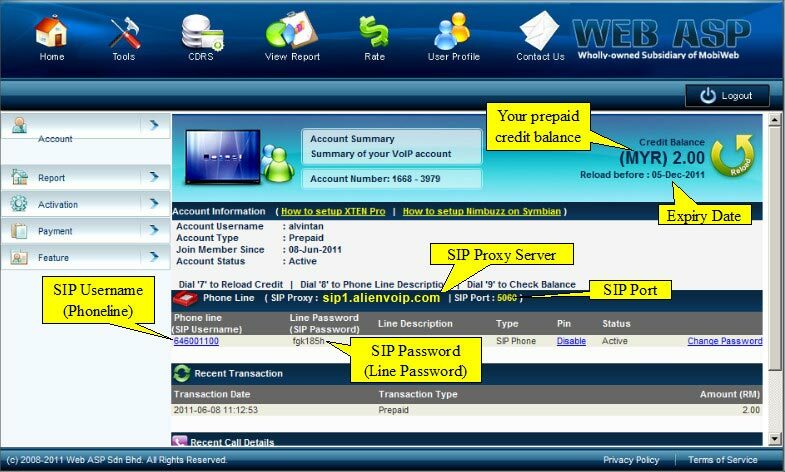 Get a AlienVoIP SIP account with one of the validated SIP Providers and use the Adore SIP Client to start making and receiving calls all around the world. 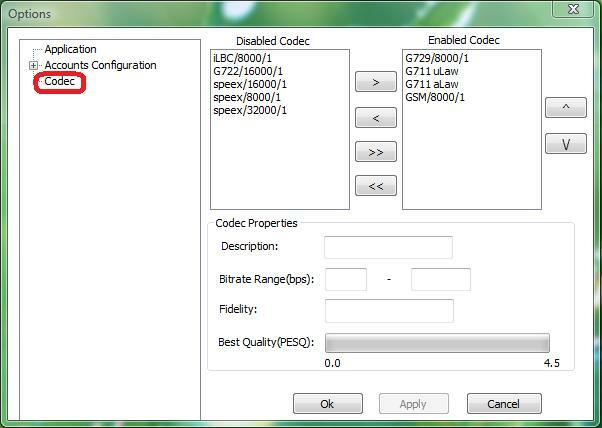 Enjoy our lowest AlienVoIP call rate right now! The most important benefit of AlienVoIP technology is cost efficiency, which in turn adds to the savings of consumers and companies using it. 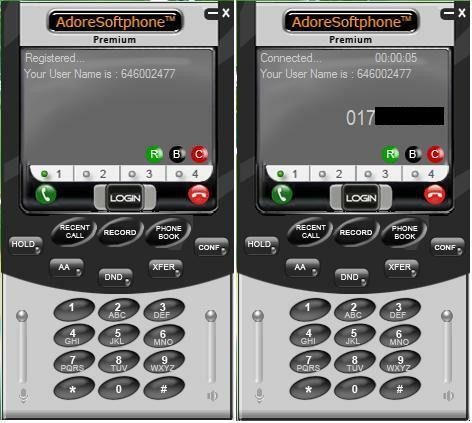 You will have a lot of cost savings by using AlienVoIP for Adore softphone because there is no surcharges and no taxes. 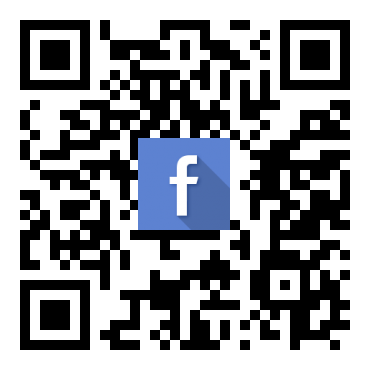 Generally, it saves around 30% to 50% off the traditional phone bills, and sometimes more. It may not sound as lucrative for individuals, but if large organizations are considered, the savings can be in the millions. 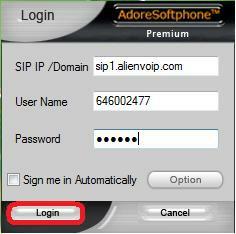 Apart from that, all major international cards are accepted and no minimum usage requirement by using AlienVoIP. There is only an actual usage billed to monthly credit card. By using AlienVoIP, users can make a call to their destination with the lowest calling rate by using a single communication device. 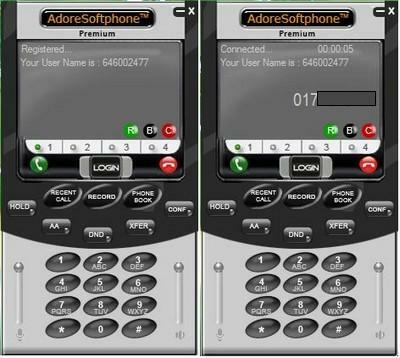 Step 1 : Download and install Adore Premium at Adore Premium Website. 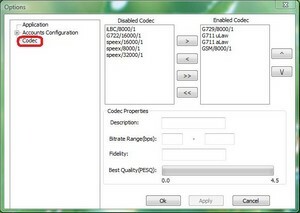 Follow the instructions and complete the installation. Step 2 : Run Adore Premium for the first time and click Option. 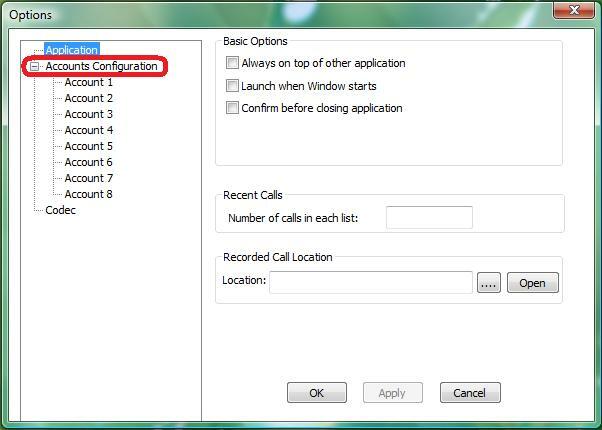 Step 3 : Open “Accounts Configuration” then select “Account 1” to create an new account. 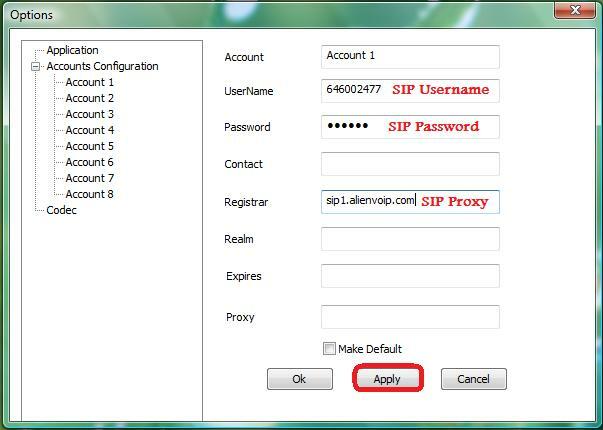 Step 4 : Enter your SIP account information by referring to AlienVoIP Management System then click Apply. 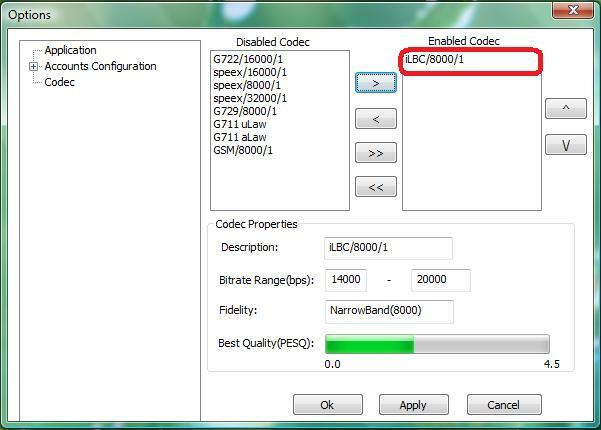 Step 5 : Click Codec. 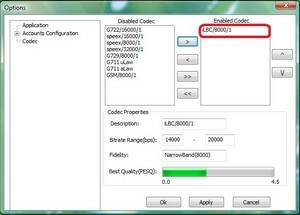 Step 6 : Select iLBC/8000/1 for Enable Codec and remove other codecs to the Disable Codec region, then click Apply followed by OK. 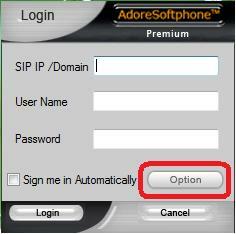 Step 7 : Fill the details and click Login to access Adore Premium.